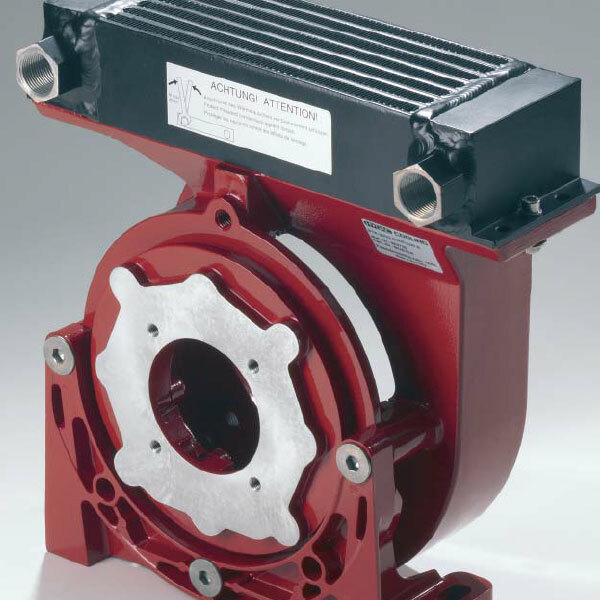 Bell housings are connection elements between drive motors and hydraulic pumps. Both connecting flanges are supplied ready for installation. The composition of the bell housings is from an aluminium cast alloy. Bell housings in both flexible and rigid design are available in dimensions of the VDMA 24561 standard. The noise level reduction achieved depends on many factors such as pump type, operating pressure, type of fitting, design etc. It is therefore not possible to quote exact figures. In general, noise level reductions of up to 6 db(A) can be achieved. The illustration in the next column shows how to set up the test. It also shows a graph with typical noise level improvements when using a flexible bell housing compared to a rigid bell housing.